So travelling is my passion, I love to travel frequently. 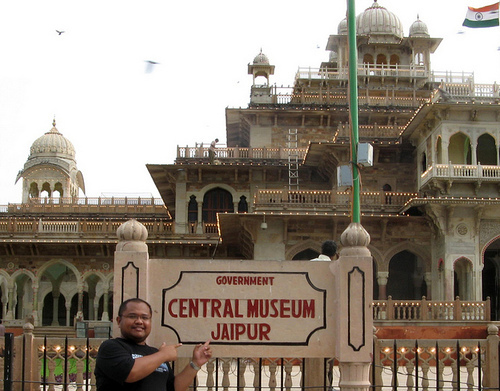 So here I’m again to share with you about my Jaipur trip, which I had in last September. It has been a year but still, I get the feeling as if I went there yesterday. I went there with my family. We boarded our flight from Delhi (Indira Gandhi International Airport) and landed there in about 50 minutes. It was a quite short journey. But we enjoyed in the plane. We clicked lots of pictures as it was a fun-filled moment. As soon as we landed there we hired a cab and hunted for a hotel. And alas! We got a fantastic hotel at such a cheaper price. We were ferociously hungry and then we searched for the Rajasthan special “dal bati churma” and it was awesome and very tasty. The best part about Jaipur was its tangy and spicy food. And if you are a golgappa fan, so guys Jaipur is the place. You get 8 golgappas for 10 bucks, aahhh what more we can ask for. So if you guys are planning for an outing to Jaipur this time. 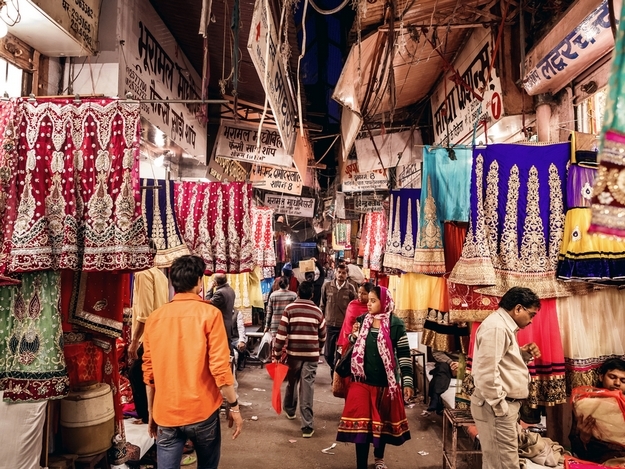 I’m going to share some places you can visit when you are in Jaipur. 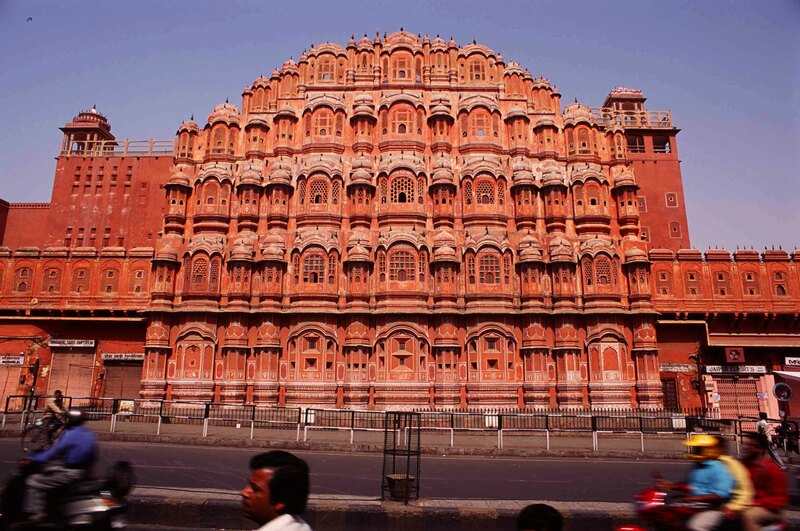 It is literally the palace of winds, it is the mixture of Hindu and Islamic architecture. It has small jharokas all over the palace. It looks beautiful at night. It serves cooling system or can say air-conditioning. It is made up of red sand-stone. It is very beautiful. 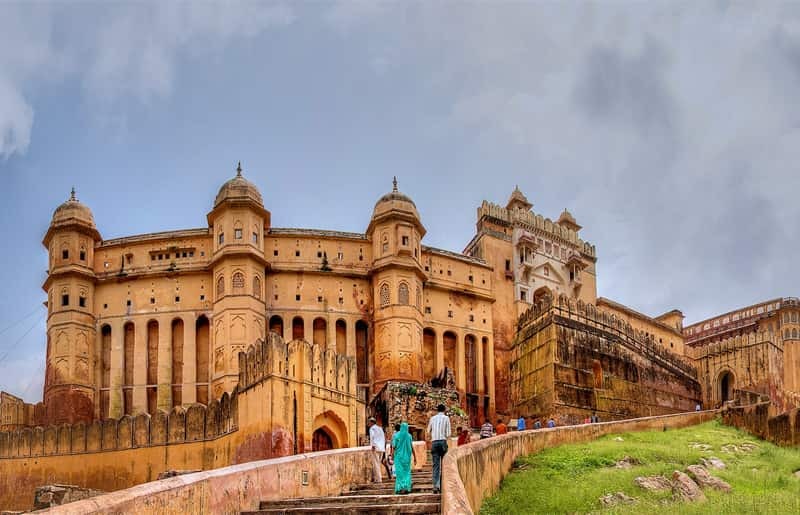 Also known as Amer fort, is built on a huge hill and is very magnificent. Its architecture spellbound the tourist. Though it’s very tiring as it covers a huge area of the hill, but, there you can see the real architecture of air conditioning system, furnaces, carvings, sheesh mahal etc. It is very mesmerising. 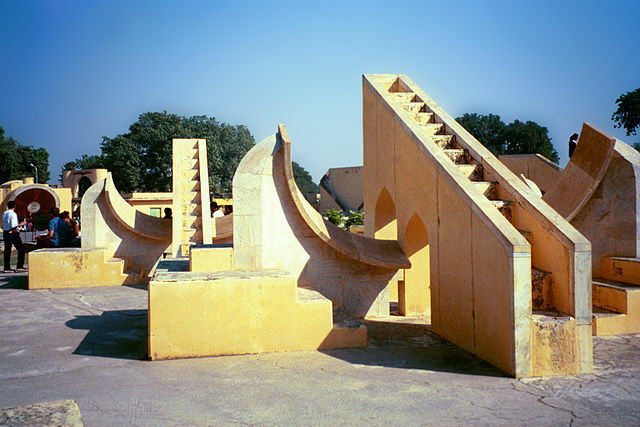 It is the largest astronomical observatory amongst the five that are in India. It has 16 astronomical observatory that helps us to study time and celestial bodies etc. It is one of the amazing museums. The museum displays a wide range of metal objects, wood crafts, carpets, stone and metal sculptures, arms and weapons, natural stones and ivory goods. The Lakshmi Narayan Mandir or the Birla Mandir is the calmest place in Jaipur. 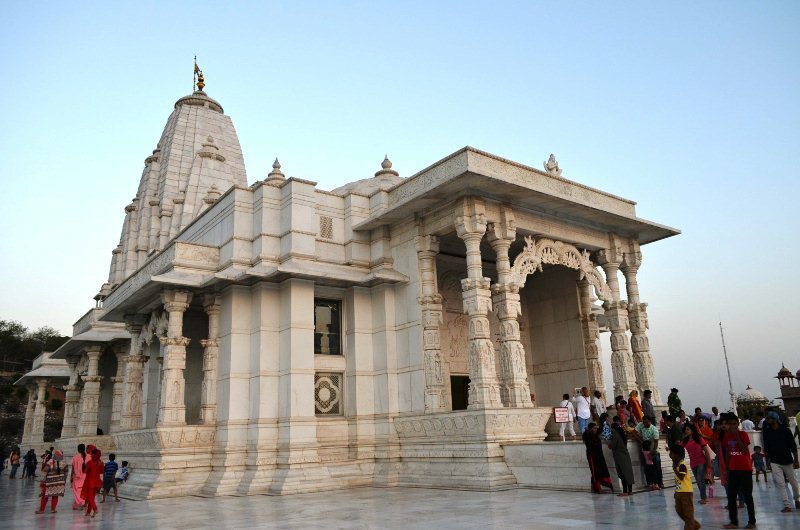 The temple is made up of white marble. The temple looks spectacular at night when it is lit up. Jal Mahal or the lake palace is the most beautiful sight in Jaipur m the palace is in between the water. You can get your amazing photographs clicked and can feed fishes there. Some handcrafted items are also present there. And last the market, yaayyy the best part of the shopping. 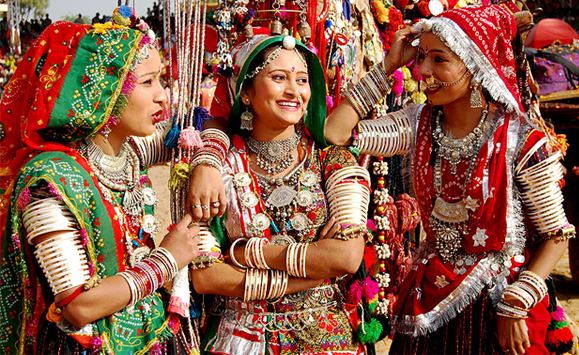 Yess guys you can shop all specialties of Jaipur from here, bandhanis, Jaipuri Juties, wax bangles and what not, you can get all of them here at reasonable price. So guys hope it will be helpful to you in your next journey.